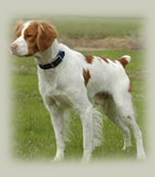 Remchester Brittanys is proud to partner with Ed and Chrissy Rucker of Topknot Gun Dogs. They have had great success with our lines and know how to get your pup off to the RIGHT start. Top Knot has been handling Gunner in Open Gun Dog and we expect a ribbon soon. Whether it is Field Trial/NSTRA/Hunter or just a great companion your looking for Top Knot Gun Dogs will bring out the best in your investment. Read more about Top Knot Outfitters in our upcoming newsletters and on Face Book.